The image above was shown during NVIDIA’s announcement. 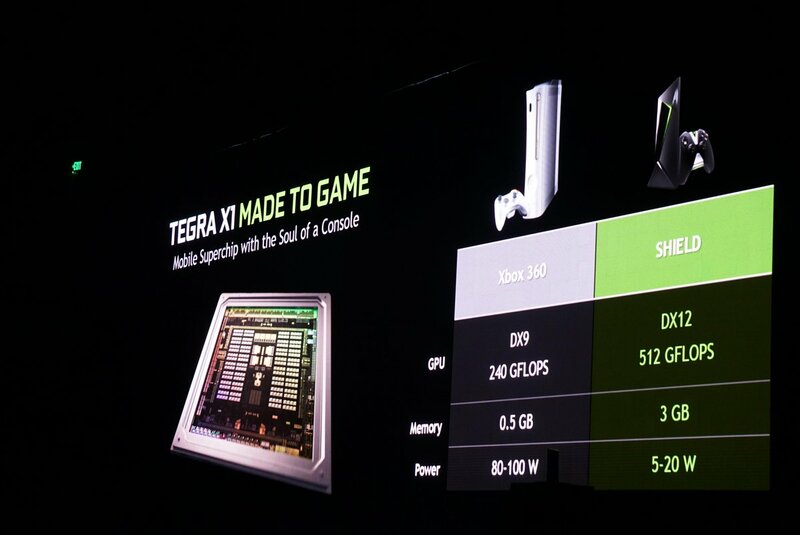 It shows off the specs of this thin new device and its performance vs the XBOX 360. This is all thanks to the new Tegra X1!